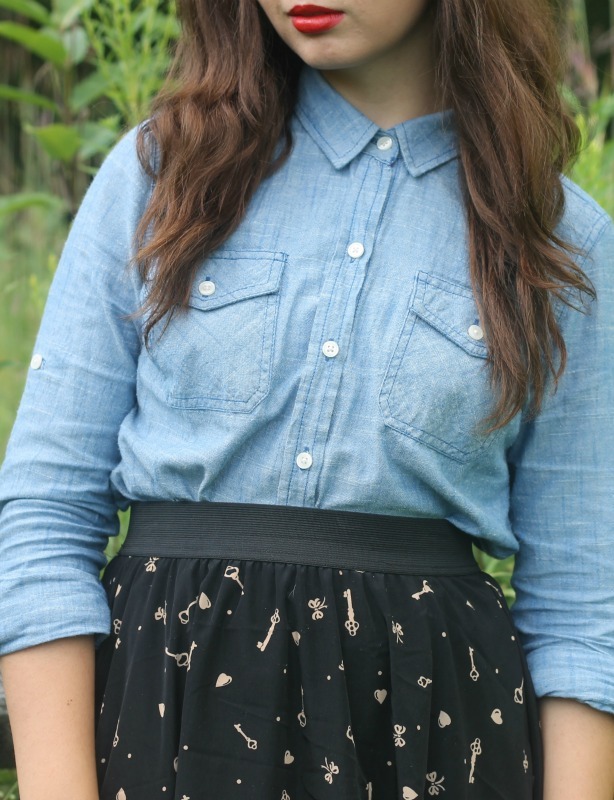 Denim Shirt, Key Skirt: Target. 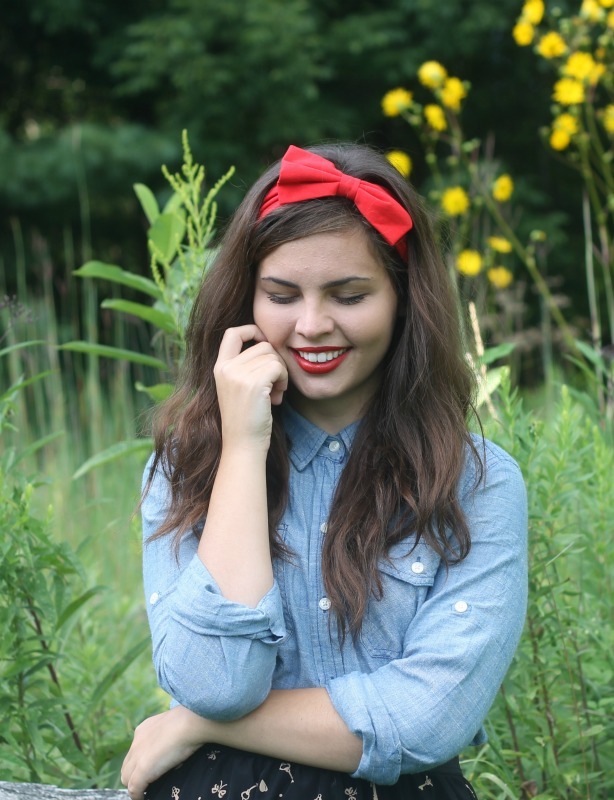 Red Hair Bow Headband: Forever21. Gosh, what an absence that was! It feels very good to be back, talking to you all and blogging again. It should have come to my mind that working at a (teen) retail store during the weeks before school would be crazy and I should have been prepared. Nope! Didn't even cross my mind. Poor Aeropostale has been swamped the past few weeks with people back to school shopping and I've been working every day making up for the lost employees going back to college + high school. I would have to say this time has been so rewarding even though everyday is busy. To help these young girls and women that come into the store is so inspiring. I don't just fold t-shirts, I don't just check people out. I get to help people find what they feel confident and beautiful in and make their days a little bit brighter. My job has been the biggest blessing to me this summer just to get hands on retail experience and to be able to help others through my passion. This week before I go back to school continues to be crazy with working every day, but I am going to try my hardest to at least write if I can't take photos! Gosh you're so beautiful. That smile! I love seeing you happy. :3 When do you go back? I fly on the 27th, but classes don't start until September 2nd. you look so very pretty! 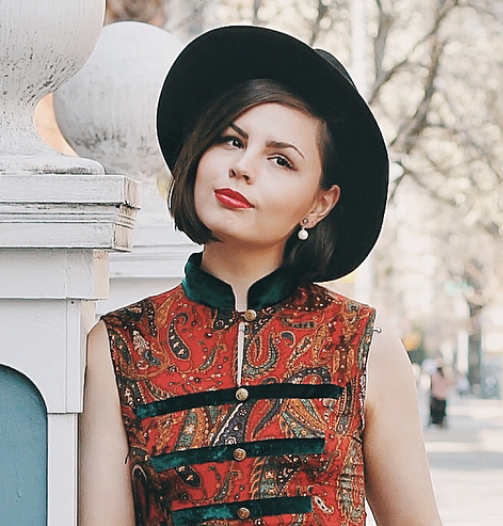 You look absolutely lovely, Lauren! And I love your outfit--that skirt is darling! Best of luck with heading back to school! 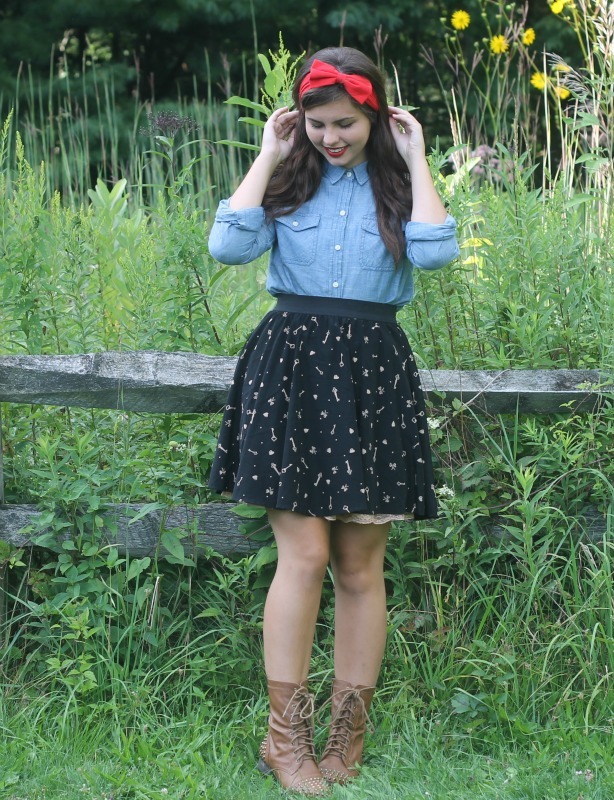 You're looking gorgeous (love your hair like this), and these boots are great on you!! We're so alike in the sense that we put everything we have into things we care about and jobs we enjoy, and it's wonderful that you get so much out of it, as well! Yayyyy back to school -- I miss college! That's awesome that you love your job so much! And seriously I love that ribbon in your hair! 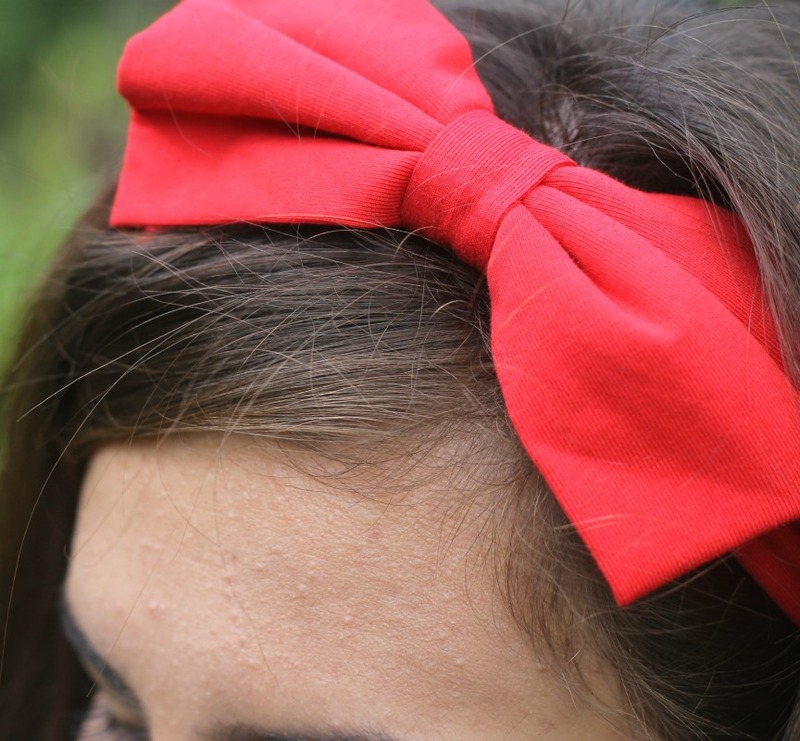 You look darling, I love the bow in your hair! Good luck with going back to school! 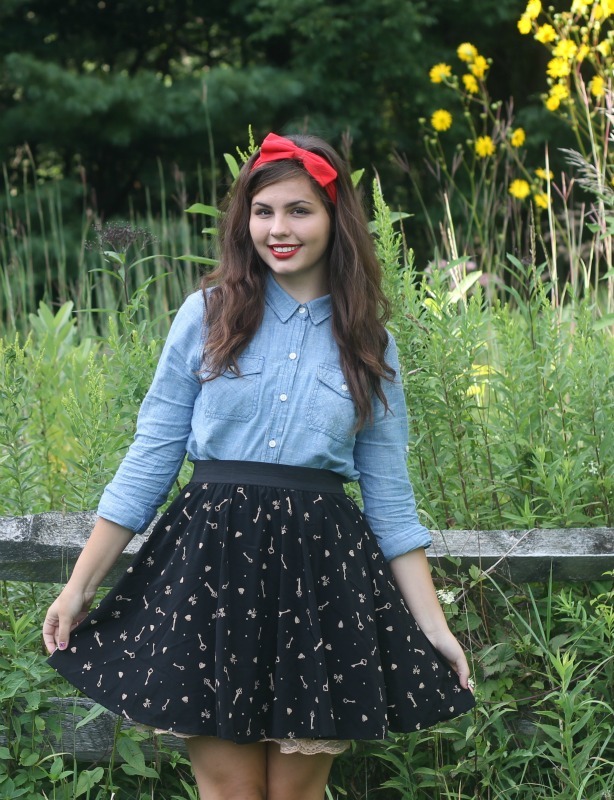 LOVE this skirt - the print is just perfect! Good luck as you make your way back to school, hon! 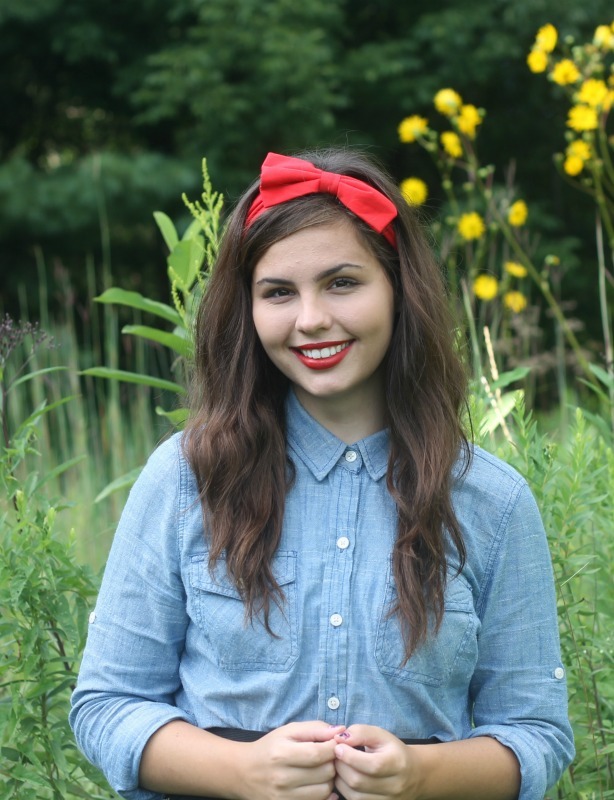 Your little red bow is so perfect! I know I'm late seeing this post but you look sooo cute! 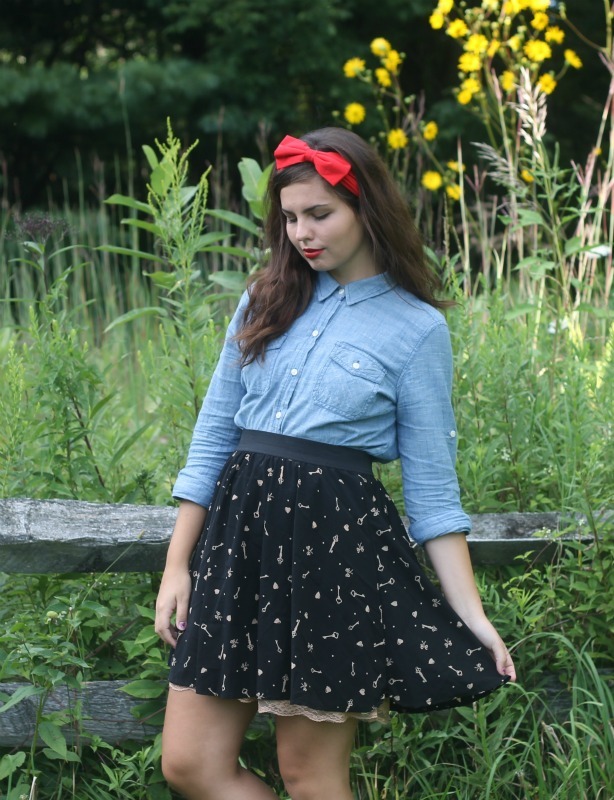 I'm kind of in love with your big red bow and that key print skirt. 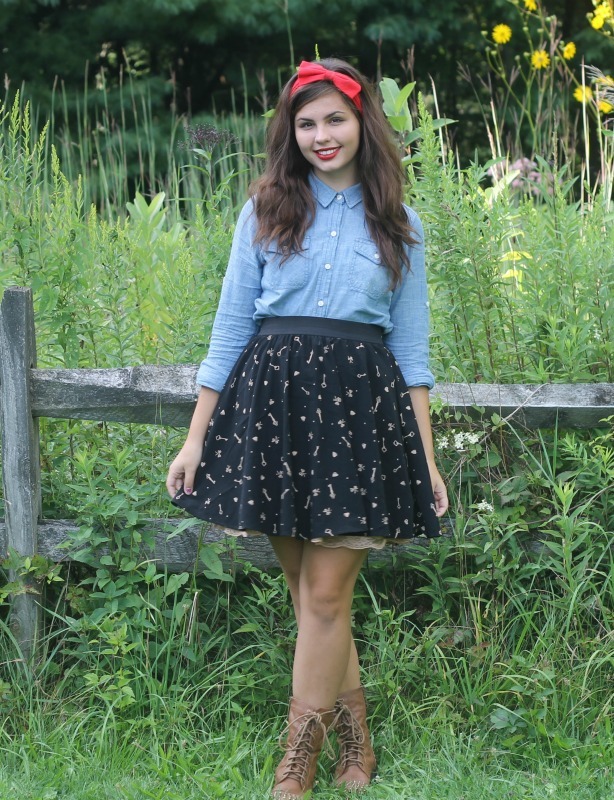 This outfit makes me wish I had a denim shirt even more than I already do. I Don't Get Waves of Missing You Anymore.